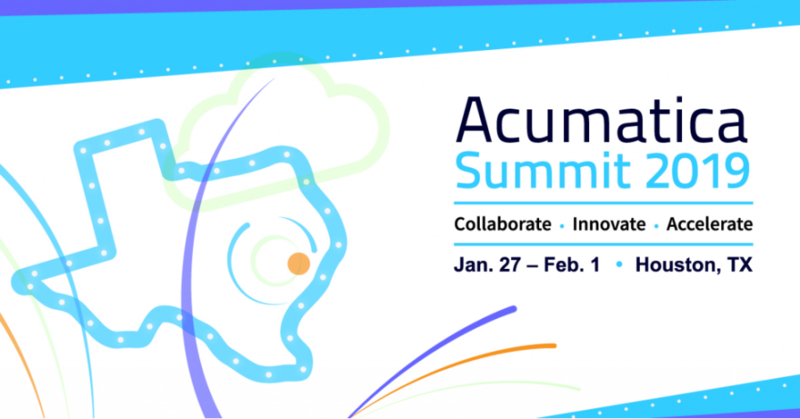 On day two of the Acumatica Summit 2019 the theme was technology. Jon and his team inspired attendees focused on collaborating, innovating, and accelerating as a community. 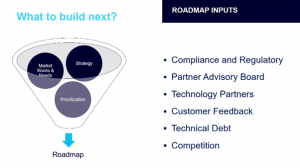 They addressed Acumatica’s project roadmap and R&D initiatives, sharing that 74% of Acumatica employees are in R&D alone. «We love technology, but it’s not technology for technology’s sake. It’s technology and how we can apply it to very pragmatic problems in the real world», Jon said. Jon noted that Acumatica provides, and will continue to emphasise, seamless cross-module workflows, where users will be able to switch from one module to another during real-life scenarios without even realising they are doing it. 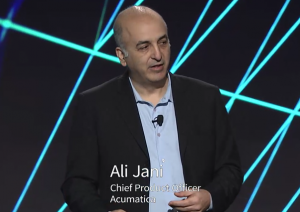 Then he segued into Acumatica’s Product Roadmap, which Ali Jani, Acumatica’s Chief Product Officer, stepped on onstage to discuss. 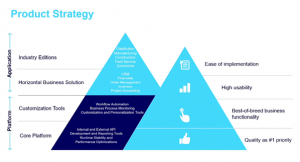 Ali explained that Acumatica’s product strategy focuses on business functionality, high usability, and ease of implementation, which includes both implementing Acumatica cloud ERP and implementing additional modules. 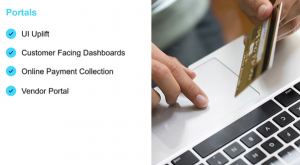 He also noted that all Acumatica new releases are based on user feedback and visiting customers at their businesses to work on their problems and processes. 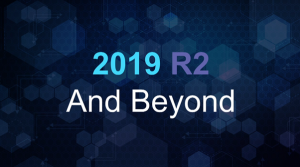 «Continuing to listen to feedback from our customers and partners since the release of 2018 R2 last fall, resulting in refinement and improvement of Acumatica’s cloud ERP offerings», Jon said in the press release. «This product release of 2019 R1 continues our independently-recognіsed industry leadership in usability and customer satisfaction across multiple business sectors». 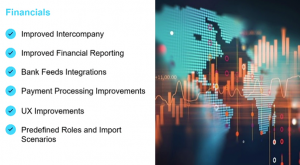 Doug Johnson, Vice President, Product Management, came on stage and highlighted new Acumatica 2019 R1 features. 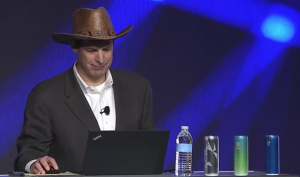 He specifically approached the Project Accounting module and presented two scenarios involving Project Accounting and Field Services, one that touched on multi-currency capabilities and rate consistency across Acumatica, and, with Jessica Gadbois, Partner Enablement Manager, one that allows different users to collaborate in real-time, moving from CRM to Project Accounting to Field Service. Jessica also emphasised the many benefits of using Acumatica’s mobile app, including GPS capabilities, photo-sharing, and capturing customer signatures. She also noted that tab efficiency has been improved in the latest release. 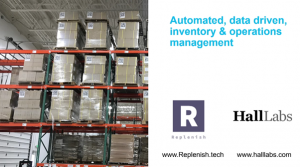 Distribution management and warehouse management functionality has also been improved. 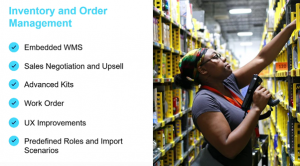 Using a scanning device, Doug demonstrated how the added capability of «Receive and Put Away» increased efficiency, both in scanning individual products and boxed items. 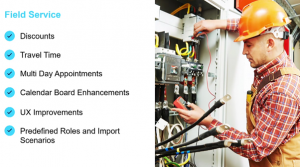 shorten implementation time and lower costs through integrated implementation and migration functions. Mike walked the crowd through planned improvements to Financials, Inventory and Order Management, Project, CRM, Field Service, and Portals. 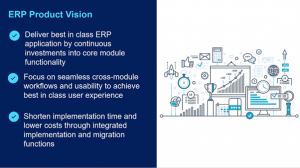 He explained that behind the ERP functionality is Acumatica’s biggest investment as an engineering company, the Acumatica xRP Platform. 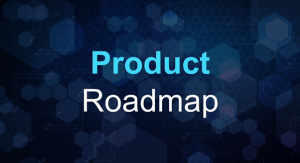 The roadmap includes continuing to make platform advances, to improve UI, usability, dashboards & reporting, and more. 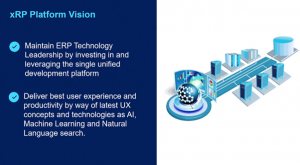 Mike also shared the vision of maintaining leadership in ERP technology by investing in and leveraging a single, unified development platform, as well as providing the best work experience and productivity with the latest UX concepts and technologies, such as AI, Machine Learning, and Natural Language search. After a demonstration, Mike invited Ajoy Krishnamoorthy, VP of Platform & Technology, to present on emerging future technologies. 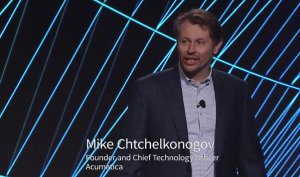 Ajoy highlighted that we use the investments made by other innovative technology organisations (Microsoft, Amazon, Google Cloud, and others) inside the Acumatica item set. Furthermore, Ajoy announced awesome news: The Acumatica Cloud ERP Connector for Microsoft Flow is currently accessible! 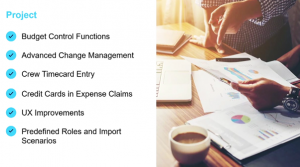 It allows users, without the help of engineers, to develop and automate work processes and assignments crosswise over applications and synchronise documents, get notices, gather information, etc. He also mentioned Acumatica’s interest in artificial intelligence and Machine learning. Referencing Jessica’s demos yesterday on machine learning used in Acumatica’s assistance framework, he stated that from a client point of view, nothing changes except that the framework provides automatically search results based on all the available data, as well as offers requested actions to process these data. Ajoy also presented the capabilities of machine learning using Google Cloud Vision Product Search. He took a picture of Jessica’s cowboy shoes with his smartphone camera and he got the full set of search results with similar shoes available for sale in demo company. This is extremely useful for manufacturing enterprises to ensure even faster search of needed items. Afterward, Ajoy demonstrated the work capability of a camera drone, which can be used in big or medium size warehouses to scan QR codes of available inventory and immediately update the remaining quantities to the Acumatica. Additionally, he used Microsoft HoloLens to show hands-free capabilities in a construction site. He took a photo and demonstrated how to activate Acumatica’s features in Microsoft HoloLens with voice commands. He emphasised that Acumatica will proceed with experimenting on how to benefit from devices with virtual reality or augmented reality to simplify the data feeding process directly to Acumatica. 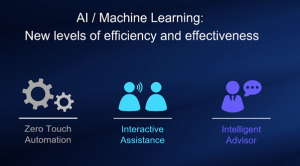 After this, Jon Roskill joined Ajoy and they presented Acumatica Alexa for Business, the artificial intelligence, utilising Natural Language input. They demonstrated voice search with complicated search inquiries, and the result was amazing – they got correct search results. 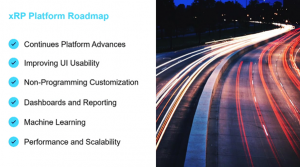 We are very excited about how Acumatica’s 2019 plans look and where the company is heading. If you didn’t read the Day 1 Keynotes, please follow the link here to find out even more interesting content!